Notice: Construction ongoing next door to complex. Welcome to Marshwinds! 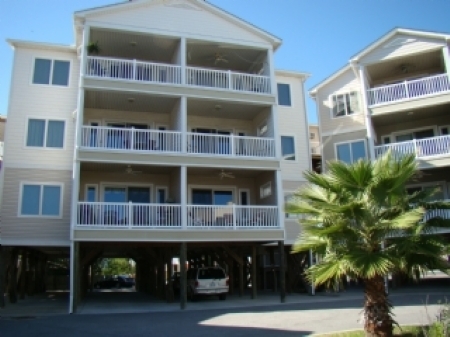 This cozy, marsh view, 3 bedroom, 3 bathroom condo is the perfect getaway for up to 6 guests. 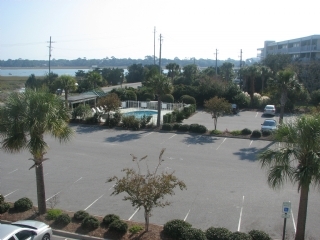 Relax at the community pool or easily head to the downtown Folly Beach area for dining, entertainment, and the beach! The open floor plan and full-length, screened in porch allows for everyone to gather together for meals and easy conversation. The kitchen is fully stocked with everything you need to cook and serve your family meals. All appliances are updated, complete with a full size refrigerator, oven, stove, microwave, and dishwasher. Serve family style at the 6-person dining table or set up a buffet on the bar area. Relax on the plush couch in the living area, put your feet up, and watch a movie or your favorite show on the flat screen TV. Take in the Low Country breezes off the river and the marsh on the fully screened in porch. Chairs and a small table are provided to have coffee or enjoy a cocktail, play cards, or just sit back and watch the wildlife. Also the perfect place to see the famous Folly sunsets lower in the evening. 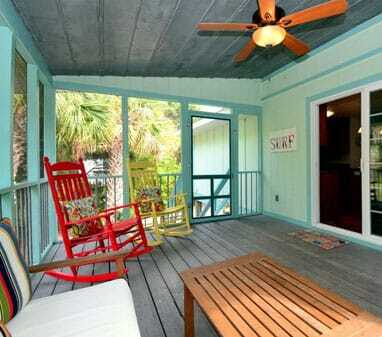 Screen porch is accessible via the living room and the master bedroom. Wake up refreshed in the king bed each morning to marsh and river views out the large windows in the master bedroom. Then, step out onto the porch from your own access door. Soak in the garden tub in your en suite, full bathroom, also with double vanity, and large walk-in shower. The two guest bedrooms are down the hall, each with an attached bathroom so everyone has their own space. Bedroom 2 has one queen bed, small TV, and full bathroom attached includes a tub/shower combination. Bedroom 3 has one twin daybed with a twin trundle pull out. The attached, full bathroom has a walk-in shower, and is also accessible from the hallway. All fresh linens and towels are provided for 6 people in the condo. Your beds will be made with clean linens upon arrival, so you can just crawl into bed after a long day of traveling. If you need to do laundry during your stay, there is a full-size washing machine and dryer found in the hallway closet. Check out the community pool to swim and catch some sun! The beach and downtown Folly Beach areas are only a few minute drive away, or you can take a stroll or bike ride just across the walking bridge to everything. The unique, downtown area of Folly Beach has beach shops, markets (select days of week), live music, and try one of our many local restaurants. 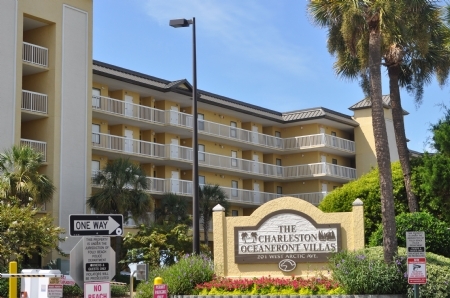 Restaurants here offer everything from low country seafood to burgers and pizza to oceanfront, higher end dining. Folly Beach County Park on the West End of the island has restrooms and large beach area to spread out, which is a great location to enjoy your beach day! Visit the Morris Island Lighthouse beach on the far East End of the island that is absolutely Instagram worthy. Downtown Charleston is also only a 20-25 minute drive, which offers world-class dining, historical tours, museums, boutiques, harbor walks along the water, the aquarium, and much more for added entertainment. Parking is free for guests staying in the complex. Parking passes will be provided as needed. 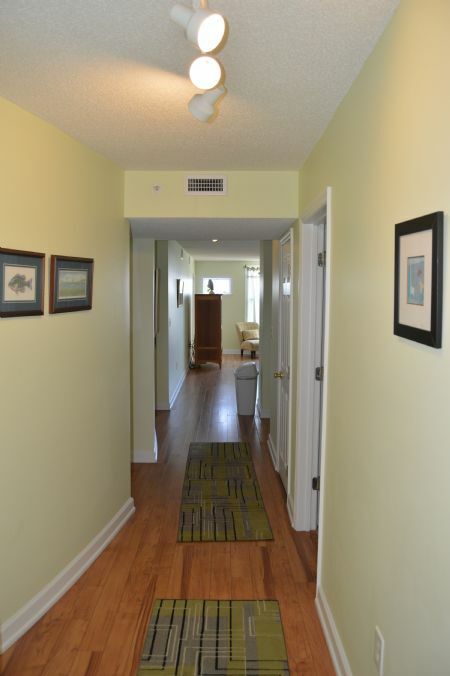 Elevator and staircases allow for easy access up to the condo. Carts are provided by the complex management company to easily take your belongings up to your condo. Full list of condo rules & policies is provided upon check-in. 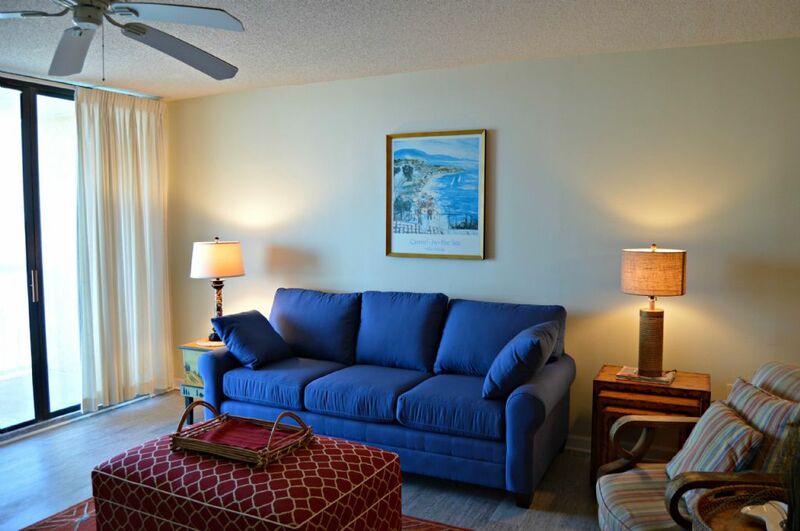 Amenities include Wi-Fi, cable TV, free parking, DVD player, washer, dryer, fully stocked kitchen with full size appliances, central heat and air conditioning, 24-hour emergency on-call staff. Home is non-smoking and non pet-friendly. No events allowed that exceed the maximum occupancy of the home. Must be 25 years old or older to rent. Please contact us with any questions. 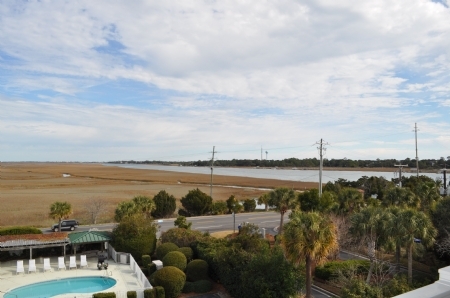 Property is available as a monthly winter rental We hope to see you soon at Marshwinds!